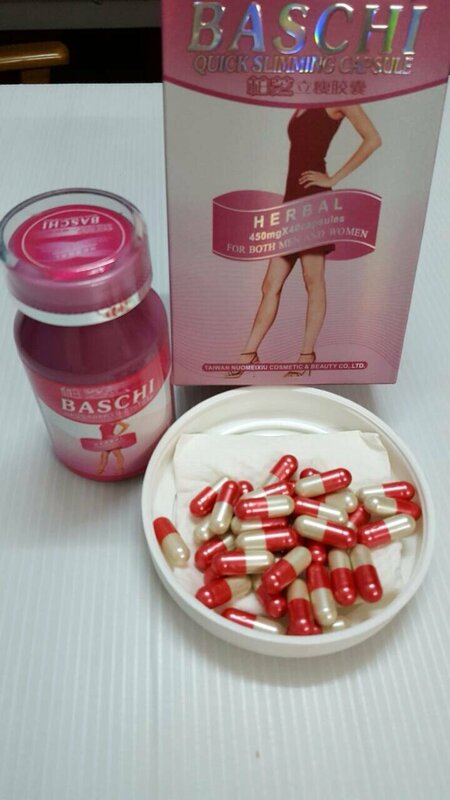 Baschi Quick Slimming Formula Nihonbashi Advance Quick Slimming Formula Advance. The more intense than ever lose weight with skin accelerate the metabolism of fat more than the original formula. Weight loss is not really shabby and not Yo-Yo Effect produced from natural, safe products with advanced technology. Help change less fussy eating habits and accelerates the metabolism of fat in the body. Works like a chain. But without symptoms, dizziness, headache, palpitations, skin extracts. Not shabby for those who want to lose weight fast. Never eat or pills before. Herbal extracts, 100% safe weight loss and skin. Properties similar to chain is to accelerate the burning of fat in one box contains 40 capsules. - In the fast within seven days. How to use : 1 time/day , 1 capsule before breakfast or half hour (after a meal to eat is better) should eat food after the first two weeks after the change to eat before a meal. New 6CM Double Block Burn Fat Diet weight loss Dietary Supplement 30 capsules. Health Essence Royal Jelly 6% 180 Capsules Premium Made in Australia 1 Box. BioSkin Moist Fresh & Firm Essence Hydrolyzed Marine Collagen 90% New 80 ml. Kaseh Arjuna Dnars Coffee Ekstrak Guarana + Tongkat Ali + Collagen 500 mg.